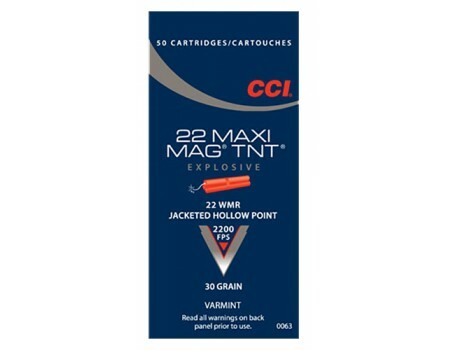 CCI Maxi-Mag Hunting/Target Rimfire Ammo. 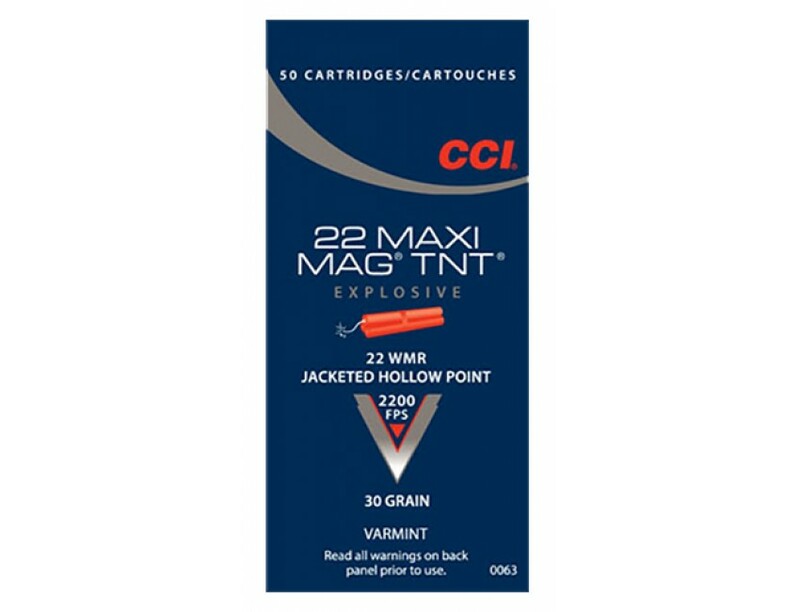 22 Winchester Magnum Rimfire, 30 GR, Jacketed Hollow Point. Box price, 50 Rounds/Box. One look is all it takes to know that CCI understands what varmint hunters desire. The Varmint Ammunition line features a variety of bullet technologies that are designed for the same goal: total devastation on impact. The Maxi-Mag TNT offers controlled expansion and excellent energy transfer.